Just about every softMod requires some kind of reboot. Whether it's because something in the System UI was changed, or because a ZIP needs to be flashed in custom recovery. Booting into your custom recovery is not an enjoyable experience, to say the least. You have to go through the whole song-and-dance of powering off your Nexus 5, then pressing and holding hardware buttons in the right order. It can be quite cumbersome, really. But after following this softModder tutorial, you'll never have to worry about that clunky exchange again. There are a few different options, which we'll delve into below in more detail. 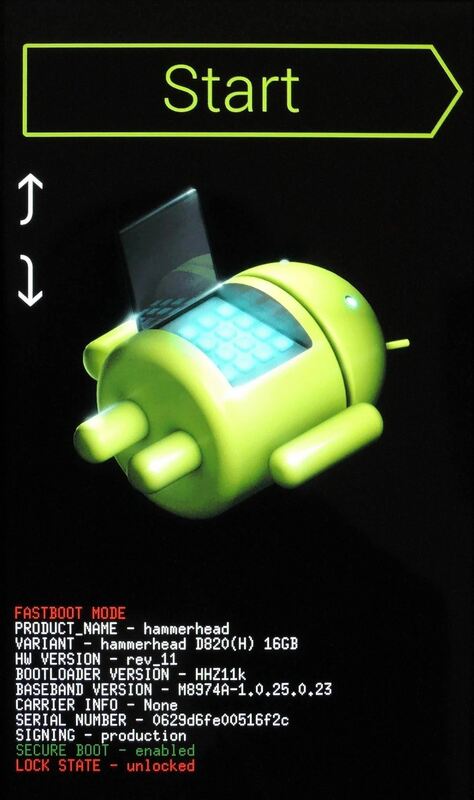 This one comes courtesy of developer cargobr151 over on his XDA thread. It's a ZIP that you can flash on your stock Nexus 5 using a custom recovery, so download the file onto your Nexus 5 using this link. 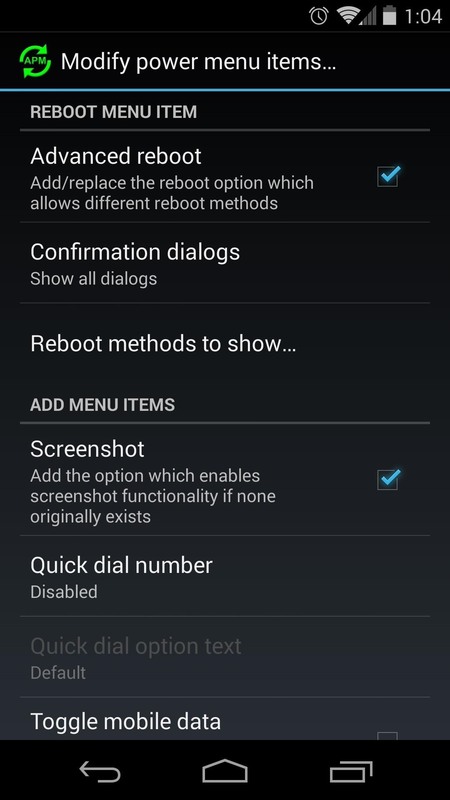 If you are not on a stock Nexus 5, then your custom ROM already has this functionality baked in, so you're good to go. 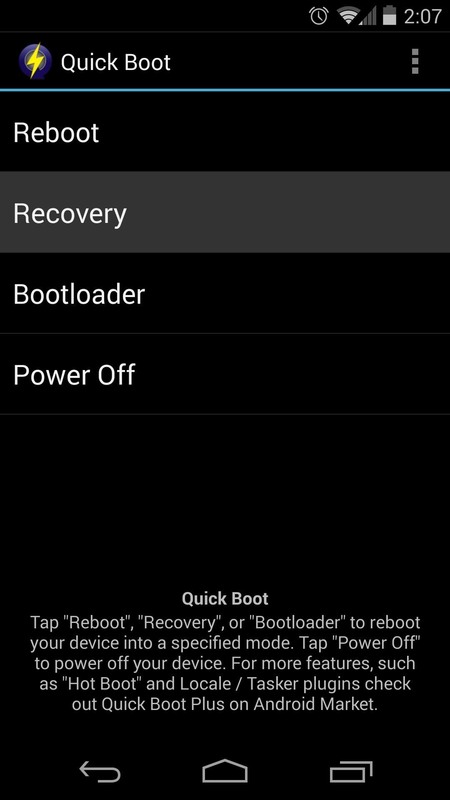 Once the download has finished, boot into TWRP recovery using the manual method one last time. 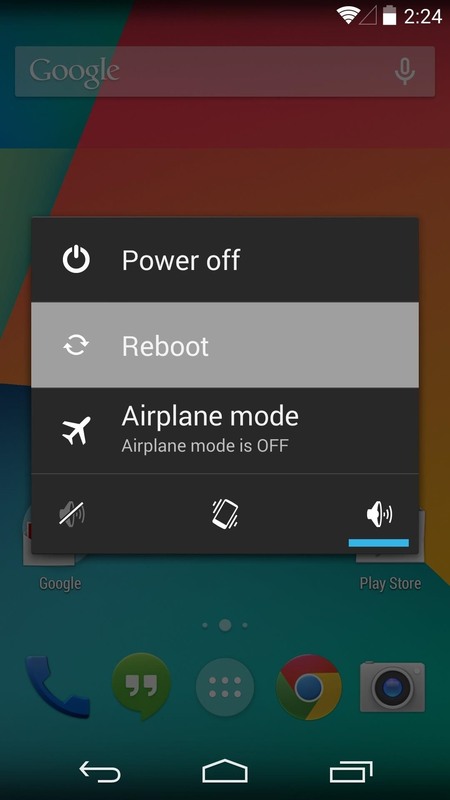 Power your Nexus 5 completely off, then hold down the Volume Down button with one finger. 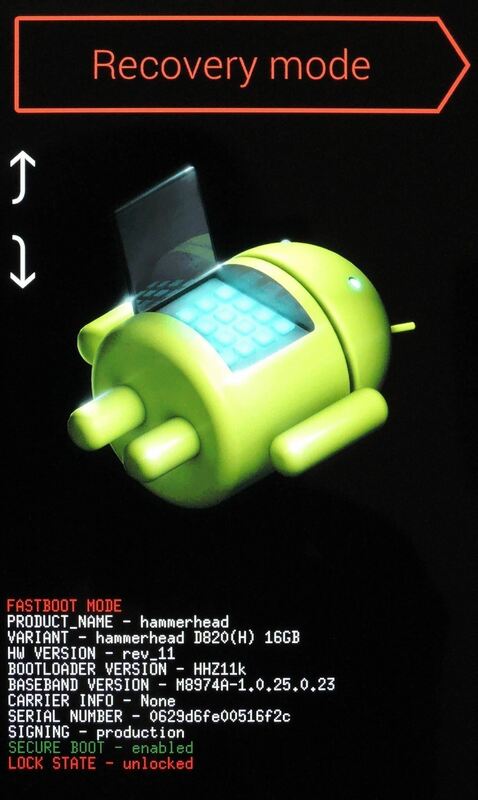 Press the Power button with another finger, and you'll be taken to the bootloader screen. 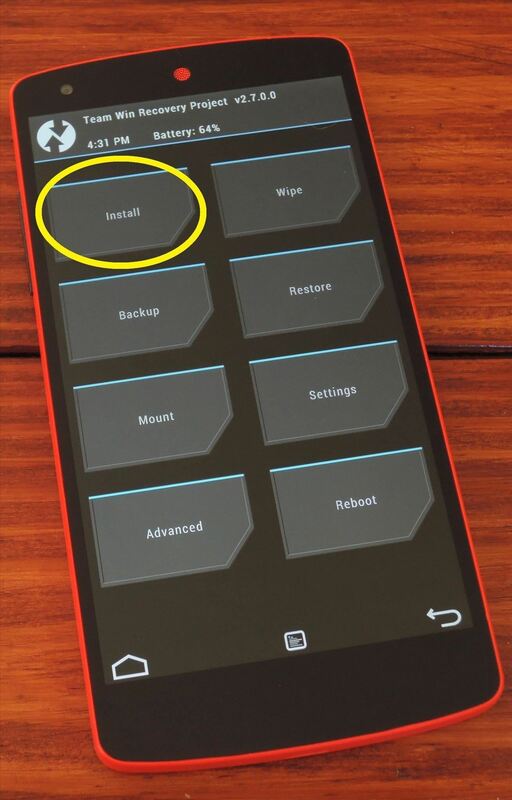 From here, hit the Volume Down button twice to highlight Recovery Mode, then tap the Power button to select it. Then, tap the Install button, then navigate to your Download folder. 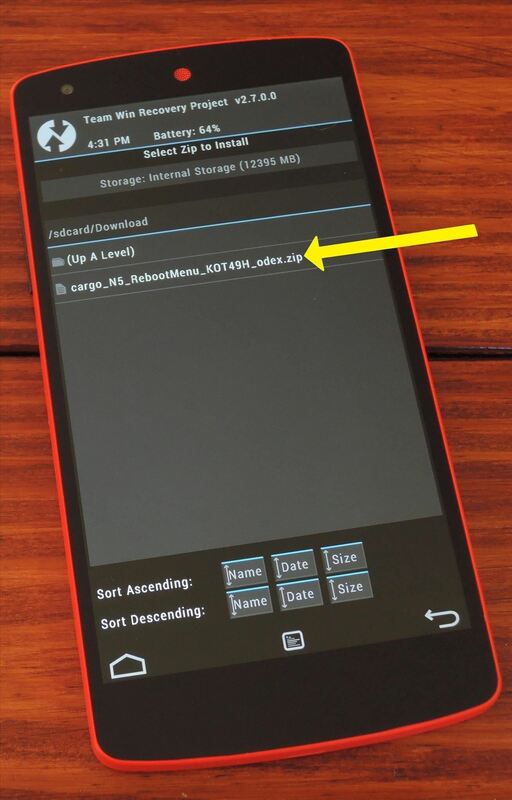 Select the file named Cargo N5 Reboot Menu....zip. Swipe the slider at the bottom to initiate the install, and when it's done, hit Reboot System. When you're back up, your power menu will have some new entries. 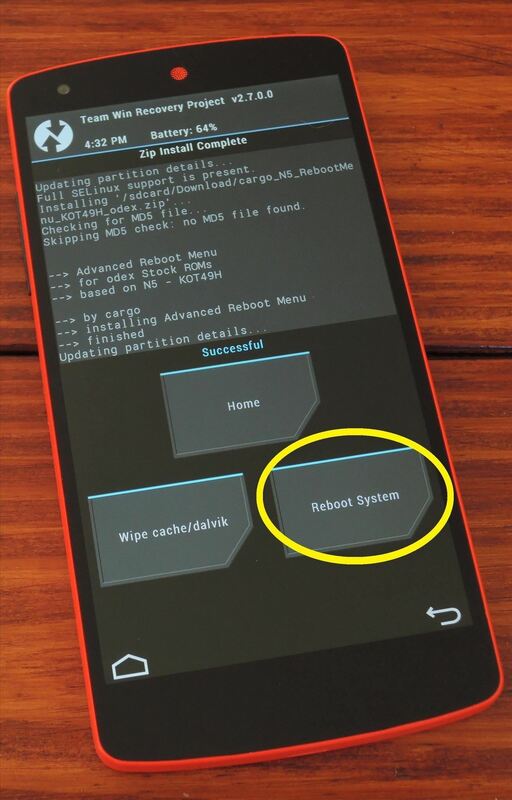 To try it out, long-press the Power button, and you'll see Reboot as an option. 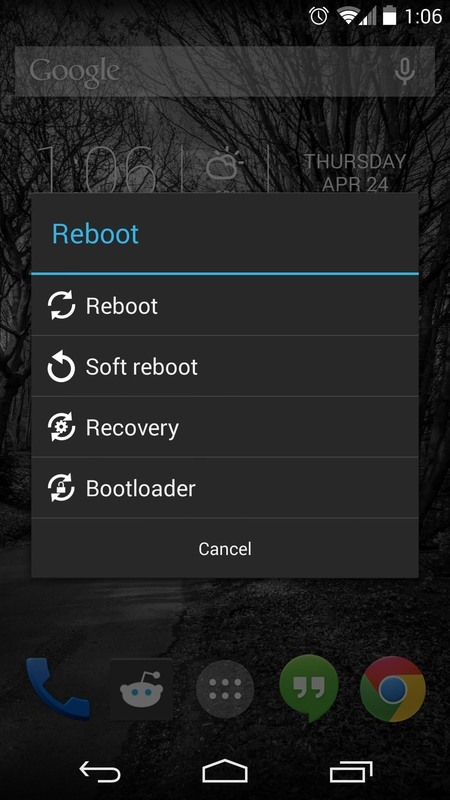 From here, select Reboot to reboot normally, Hot Boot to just reboot the OS, Bootloader to go to bootloader, or Recovery to enter your custom recovery. Tap OK, and the phone will reboot. 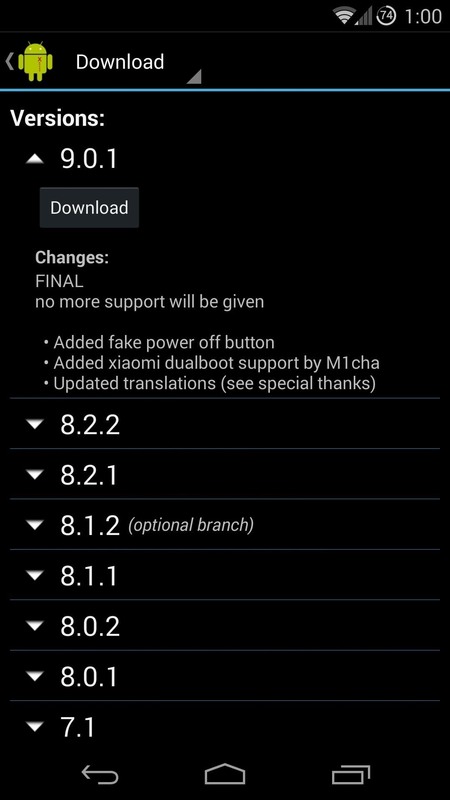 For those of you with the Xposed Framework installed, you can try the module Advanced Power Menu by developer kennethso168. 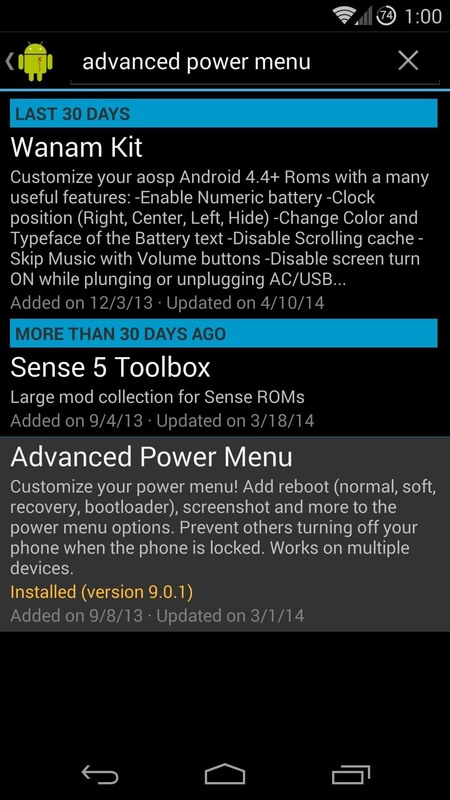 From the Xposed Installer app, head into the Download section and search Advanced Power Menu. Select the module, then hit Download to initiate the install process. Alternatively, you can download the module directly here as long as you have "Unknown sources" enabled in your Security settings. Once installed, be sure to activate the module and reboot. There are a several customization options offered by this module. 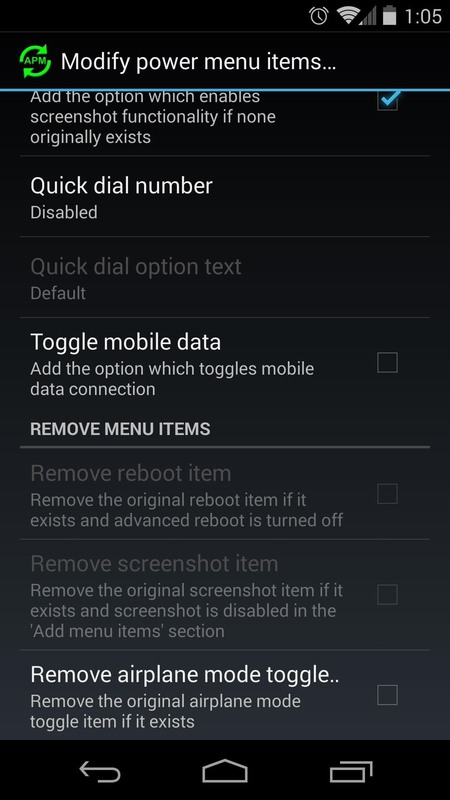 Tour the app to find settings for disabling the reboot dialog on the lock screen, theming the icons, and removing entries in the reboot dialog. 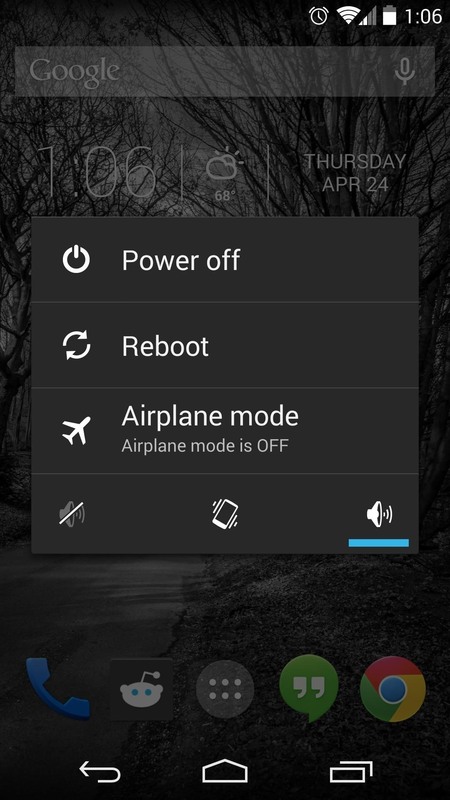 The interface is integrated into the system power menu, and it functions much like the flashable ZIP option. 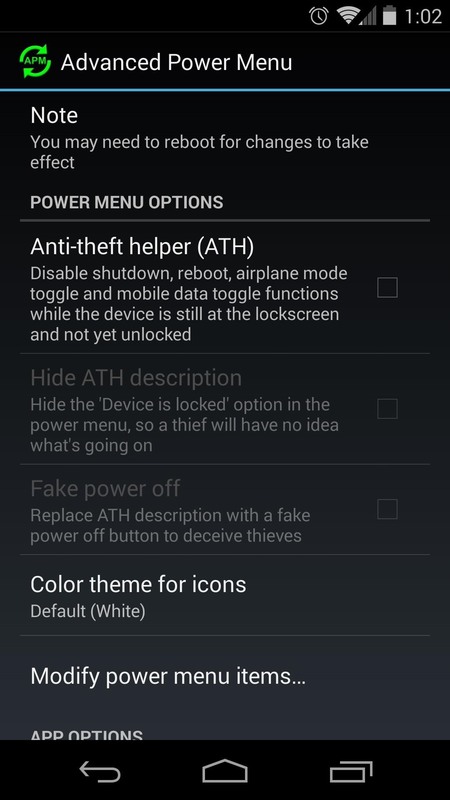 If flashable ZIPs and Xposed modules aren't for you, there's an app available to offer some of this functionality. 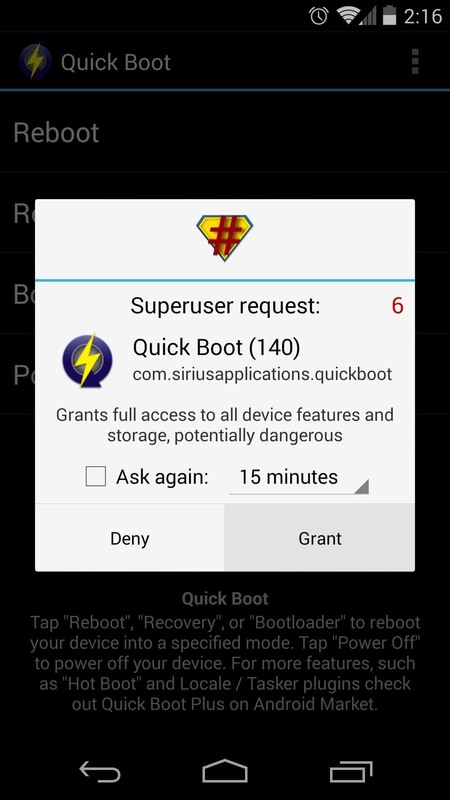 Search Google Play for Quick Boot (Reboot), by Sirius Applications, to get it installed. 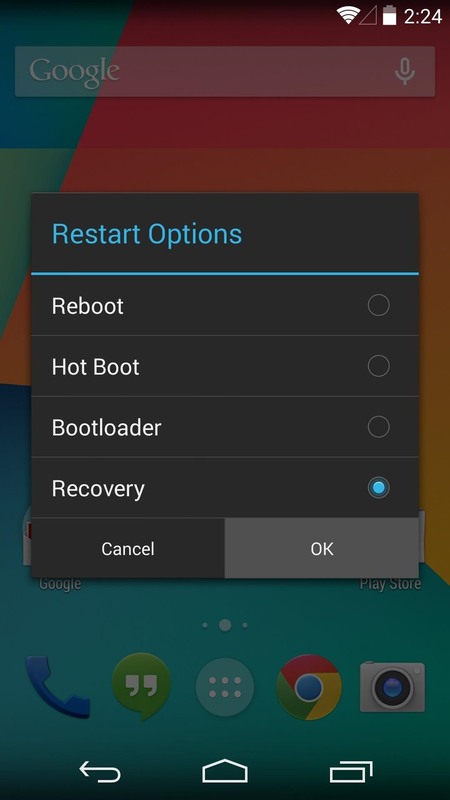 To reboot into recovery or bootloader, simply open the app and tap the option you want. It will ask for root privileges, so grant those, and it'll immediately go to work. Now it's be a breeze to boot into custom recovery and start softModding. Which method do you prefer? Let us know in the comment section below.